BLEMISHED PRODUCT – Some of the small holes in the barrel nut may not be drilled perfectly. Still fine to use. May have scratches, scuffs, other cosmetic defects. Guaranteed to function as normal. “Monolithic” rail design – creates a continuous rail with a flat upper receiver. No gap! Universal – fits with standard 1.25″ barrel nut (upper receiver threads). One-piece construction – rock-solid fit! Included in the box: Quad Rail Handguard, Locking ring, Set Screw. A: This will fit any AR-15 that has a standard mil spec upper receiver. It will require some modification to your firearm though, including replacing the barrel nut, removing the flash hider, and possibly adding a low profile gas block. Want to learn more? Watch some installation videos. A: For longer handguards you may need to replace the gas block or front sight with a low profile gas block, available here. These gas blocks are low enough to sit under the quad rail. 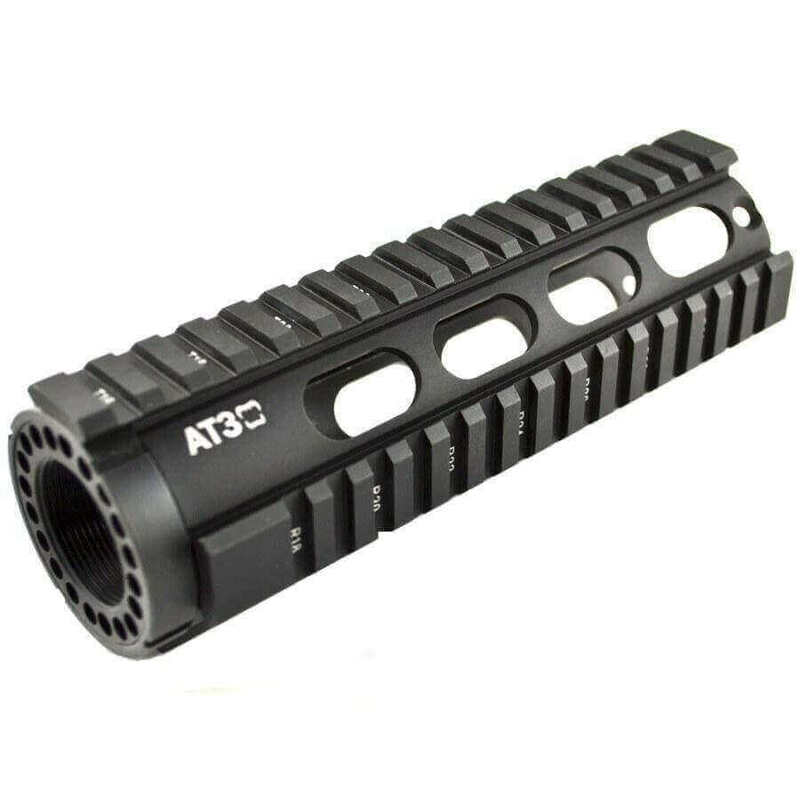 (Since this is a 7″ handguard, you should be able to skip this step). You will also need to get an armorer’s wrench for the barrel nut, and we highly recommend a vise block to hold the upper receiver in place while you work on the weapon. Get armorer’s tools here. worked perfectly, small blemish. would buy again.